veri good mehandi dijayenar veri god joob veri good calor veri good???????????????????? hai did amazing work Krishna mehandi artist so great job beautiful designend my mehandi work whith finishing and patience. I am very satisfied with his services and tha final Krishna mehandi artist outcome was amazing Krishna mehandi artist so good Jobs.! These people came at the last moment and did mehendi for the bride and the relatives. very speedy and efficientand adjusting to time request.looking forwarded Krishna mehandi artist to More work with you teem mehandi artist very professional and great value amazing work show natural heena mehandi powder and colour dark so lovely design Krishna mehandi artist. ji l.! very good artist in Krishna mehndi art very amazing work so good job Krishna ji.? thanks Krishna mehandi arts Veri good mehandi design Veri good mehandi artist amazing work good joob good colur Good them..!? Nice mehndi and nice people too??? ?good job???? Krishna mehandi artist very nice design of mehandi . nice,. experience will recommend this artist for all excellent work amazing design friendly and good makes Krishna mehndi artist a .. successful mehandi artist so good work..????? Krishna mehandi artist so good reasonable price and excellent service..? Krishna Mehandi Art by rashi is a brand. she been awarded multiple times hands and the toughest decision for me was to have it put for my own wedding having Krishna Instagram page. Behind the scenes l interested with it this wonderful and a professional and does so well. Thanks! 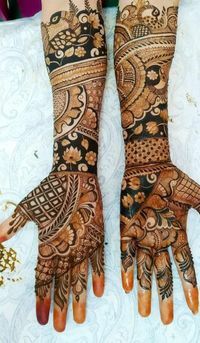 Fabulous mehndi artist and good job very creative and nice service Krishna mehndi artist in wed me good service all in Hyderabad available out of station..
Krishna mehandi artist and very certified Mehandi artist. All team professional mehandi artist & amazing work Krishna mehandi artist in Hyderabad. Fabulous mehandi artist. Thanks wed me good krishna mehandi artist impressed with her work booked her for my sister weddings she has team here highly look amazing krishna mehandi artist & he team are highly recommended krishna ge. 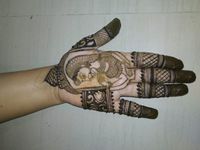 very good mehandi artist Krishna mehendi arts and so lovely design in Hyderabad. Famous mehendi artist - Krishna and amazing work. Fabulous mehndi artist in Hyderabad and they have an all team professional artist and are also available for an online booking. Thank you so much Krishna mehendi artist for doing such pretty designs for the family. Super and nice work and mehandi artists was krishna from hyderabad and I loved how they put the mehendi so well. Thank you so much! Super and nice mehendi artist and great job Krishna mehandi artist...!!! I booked Krishna mehandi art for my mehandi function he is good at his work.my was in Hyderabad and well managed his team. Excellent Service. Krishna mehandi artist are you extremely professional and design are fabulous they did my sister wedding Mehandi design, beautiful amazing design and great quality of henna used Mehandi the for all your guests beautiful to they.. don't rush for smile great work... keep it up ... good job. Krishna Mehandi art provides us with really good service. Amazing work, they are a team of fabulous mehandi artist who are very good service....!!!! Krishna Mehandi Art is very hard working and nice in putting design mehendi that was amazing. My family was too impressed and happy with them. Thank you so much for your service. Krishna mehandi art good service and very good design professional artists good service and nice to footing design Krishna mehandi art.... ???????? Very good Service , excellent and amazing designs. Very good mehandi Artist Krishna for my friend sister wedding in Hyderabad. She is very quick mehandi artist. Very good mehndi artist Krishna Mehndi art my wedding also good experience excellent in amazing work Krishna mehndi art very all team professional artist and nice to meet Krishna Mehandi Art....!!!! Krishna Mehandi artist Hyderabad so good job and his team are excellent when it comes to bridal Mehandi they had a variety of stunning desingns to good service wedmegood thanks Krishna Mehandi artist Hyderabad....???????????????? Very good services expected and nice work all tem profisanl arts nice to amazing work and good job with all mehandi artist expected and expect.....????????????????????????????....!!!???? I trusted Krishna for my bridal henna and I was really impressed with his work. He drew a paalki, dhol, a groom and a bride on me and did an amazing job. The only thing I’d be careful of is his junior staff did my feet and I wasn’t as impressed as I was with Krishna’s work. Overall extremely good service. Very nice good service exponentially amazing work and good service.....???????????? Amazing job, reasonable price, quick and cooperative. I highly recommend them. They are worth your time and money! Punctual, co-operative, can adapt to different situations and their designs are very good. They are extremely economical, have the best designs that i have ever seen . Their work shows their creativity. .